Updates to Richard's profile since your last visit are highlighted in yellow. Richard Winokur added a comment on his Profile. Richard Winokur has a birthday today. Richard Winokur posted a message. Happy Birthday! Enjoy the day! Richard Winokur added a comment on his Profile. New comment added. The beard is real. The hair not so much. 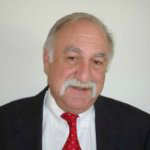 Richard Winokur updated his profile. View. Richard Winokur has a birthday today. New comment added. Happy birthday and have a great day.